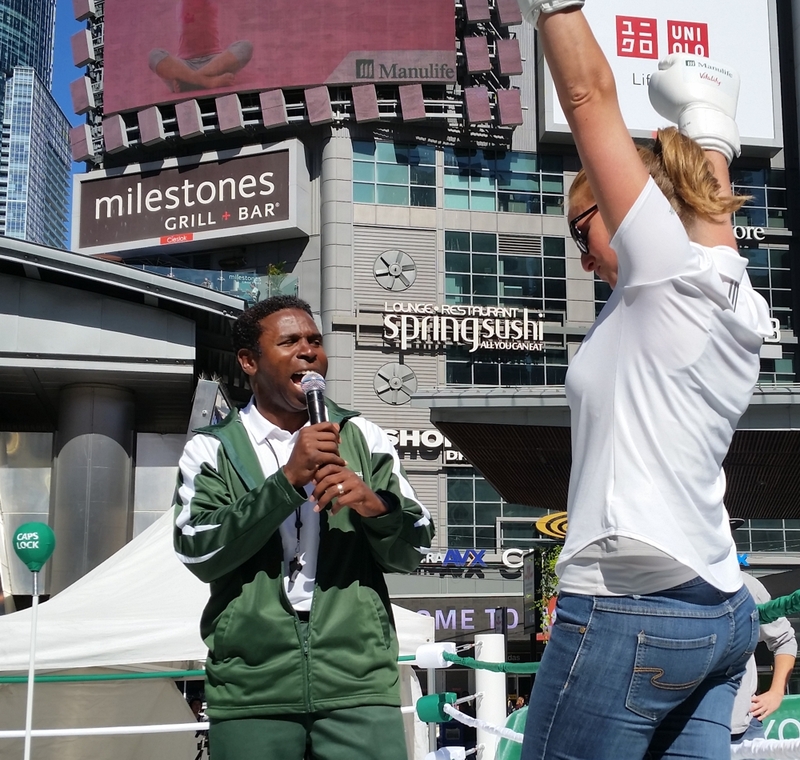 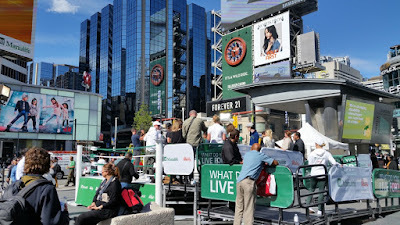 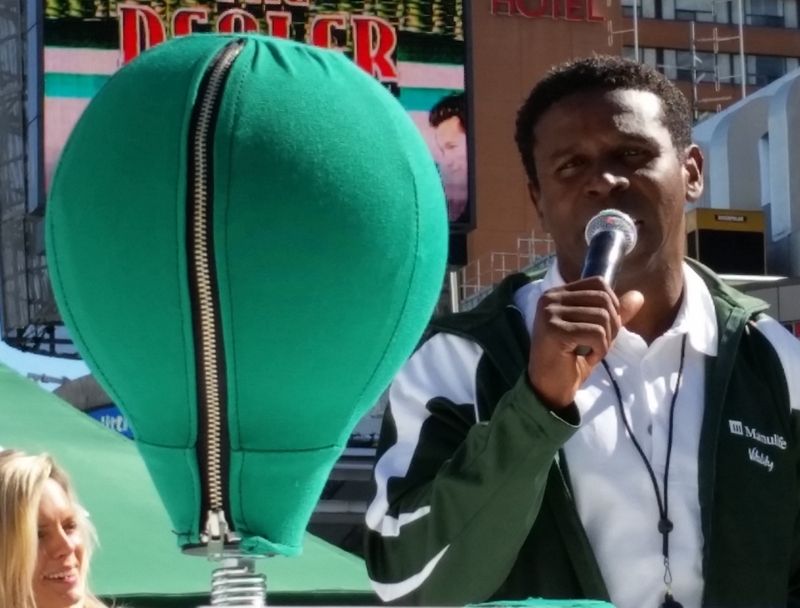 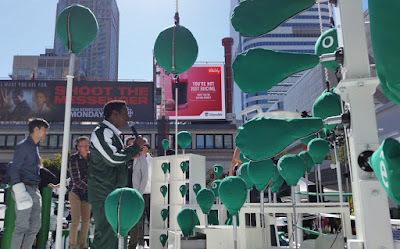 Athlete, celebrity and all around good guy Michael Pinball Clemons was down at Yonge-Dundas Square to promote Manulife Vitality. There was a non-regulation boxing ring setup in the square with a bunch of punching bags. People strapped on some gloves and punched the bags. 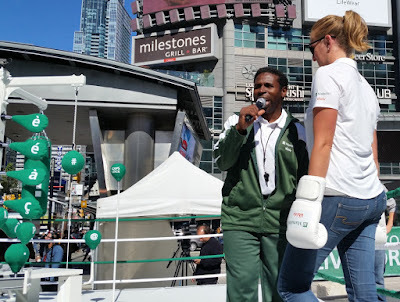 taken a whole new approach to life insurance with Manulife Vitality, a personalized wellness program that offers rewards when you make choices to live a healthier life."